Abstract: As the growth of the Internet and electronic commerce have brought to the forefront the issue of privacy in electronic communication. Large volumes of personal and sensitive information are electronically transmitted every day. In this paper we present modified RSA algorithm and analysis for secure data transmission. The security of RSA public key cryptosystem is based on the assumption that factoring of a large number (modulus) is difficult. In RSA if one can factor modulus into its prime numbers then the private key is also detected and hence the security of the cryptosystem is broken. Encryption is the standard method for making a communication private with RSA Algorithm. In which one public key and one private have introduced, resulted from two prime number introduced. Here we have introduce n Prime number with evolve method in a modified RSA cryptosystem to provide security over the networks. So, the security of RSA public key cryptosystem is increased due to increase in difficulty of the factoring of a large number (modulus) with increase in prime number and this technique provides more efficiency and reliability over the networks. Keywords: Key, Encryption, Decryption, n prime numbers, RSA Algorithm. 2. Behrouz A Forouzan, "Data Communications and Networking", McGraw-Hill, 4th Edition. 3. Xin Zhou, Xiaofei Tang, “Research and Implementation of RSA Algorithm for Encryption and Decryption”, IEEE The 6th International Forum on Strategic Technology, 2011, Volume 2, page 22-24. 4. Davis, R, “The data encryption standard in perspective”, Communications Society Magazine, IEEE, 2003, pp. 5 – 9, ISSN 0148-9615. 5. Shashi Mehrotra Seth, Rajan Mishra, "Comparative Analysis of Encryption Algorithms for Data Communication", International Journal of Computer Science and Technology, June 2011, Vol. 2, Issue 2, pp. 292-294. 6. 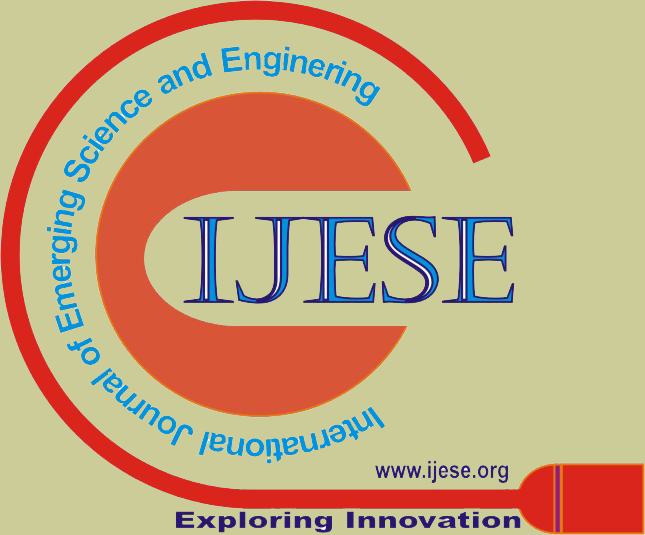 Rajan.S.Jamgekar, Geeta Shantanu Joshi, “File Encryption and Decryption Using Secure RSA”, International Journal of Emerging Science and Engineering (IJESE), February 2013, Volume-1, Issue-4, ISSN: 2319–6378. 8. Yunfei Li, Qing Liu, Tong Li, “Design and implementation of an improved RSA algorithm” E-Health Networking, Digital Ecosystems and Technologies (EDT), 2010 International Conference (Volume:1 ), April 2010, pp. 390 – 393. Abstract: Small signal instability problems in wind farms often lead to power system blackouts. This paper reports a comprehensive study of small signal stability in three different types of wind generator when coupling to a power system: doubly-fed induction generators (DFIG), squirrel cage induction generators (SCIG) and permanent magnet synchronous generators (PMSG). Time-domain analysis and Eigenvalue analysis were used to identify small signal instability problems in wind farm power systems. A static synchronous compensator (STATCOM) and power system stabilizer (PSS) was modelled and applied to the power system to enhance small signal stability. In addition, the performance of high voltage direct current (HVDC) and high-voltage alternating current (HVAC) links was examined in connecting the wind farm to the grid. The results show improvement in small signal stability by using HVDC rather than HVAC. The IEEE 14 Bus test system and all simulation models were implemented using the DIgSILENT PowerFactory software tool. Keywords: Wind Turbine Generators, Small Signal Stability, Oscillatory Stability, Eigenvalue analysis, SCIG, PMSG, DFIG, STATCOM, PSS, HVDC, HVAC, IEEE 14 Bus test system, DIgSILENT PowerFactory. 1. K. R. Steve Sawyer, "Global Wind Report," belgium 2010. 2. K. R. Steve Sawyer, "Global Wind energy Outlook 2010," belgium 2010. 3. S. Heier, Grid Integration of Wind Energy Conversion System, 1998. 4. D. Thakur and N. Mithulananthan, "Influence of Constant Speed Wind Turbine Generator on Power System Oscillation," Electric Power Components and Systems, vol. 37, pp. 478-494, 2009. 5. G. Rogers, power system Oscillations: Kluwer Academic Publishers, 2000. 6. P. W. Sauer, Power Systen Dynamics and Stability: Prentice-Hall, Inc., 1998. 7. P. Kundur, Power System Stability and Control. New York: McGraw-Hill, Inc., 1994. 8. O. A. Almasari, "Low Frequency Oscillatory Stability Study of Power System with Wind Farms," Master Degree, School of Information Technology and Electrical Engineering, The University of Queensland, Brisbane, 2011. 9. W. Chen, S. Libao, W. Liming, and N. Yixin, "Small signal stability analysis considering grid-connected wind farms of DFIG type," in Power and Energy Society General Meeting - Conversion and Delivery of Electrical Energy in the 21st Century, 2008 IEEE, 2008, pp. 1-6. 10. F. Snyder, "Inter-Area Oscillation Damping with Power System Stabilizers and synchronized Phasor Measurements," Master thesis, Electrical Engineering, Virginia Polytechnic Institute and State University, 1997. 11. F. J. Swift and H. F. Wang, "The connection between modal analysis and electric torque analysis in studying the oscillation stability of multi-machine power systems," International Journal of Electrical Power & Energy Systems, vol. 19, pp. 321-330, Jun 1997. 12. J. G. Slootweg and W. L. Kling, "The impact of large scale wind power generation on power system oscillations," Electric Power Systems Research, vol. 67, pp. 9-20, Oct 2003. 13. R. C. Burchett and G. T. Heydt, "Probabilistic Methods For Power System Dynamic Stability Studies," Power Apparatus and Systems, IEEE Transactions on, vol. PAS-97, pp. 695-702, 1978. 14. R. D. Fernández, R. J. Mantz, and P. E. Battaiotto, "Impact of wind farms on a power system. An eigenvalue analysis approach," Renewable Energy, vol. 32, pp. 1676-1688, 2007. 15. D. Gautam, V. Vittal, and T. Harbour, "Impact of increased penetration of DFIG based wind turbine generators on transient and small signal stability of power systems," in Power and Energy Society General Meeting, 2010 IEEE, 2010, pp. 1-1. 16. Y. Sun, L. Wang, G. Li, and J. Lin, "A review on analysis and control of small signal stability of power systems with large scale integration of wind power," in Power System Technology (POWERCON), 2010 International Conference on, 2010, pp. 1-6. 17. D. Devaraj and R. Jeevajyothi, "Impact of wind turbine systems on power system voltage stability," in Computer, Communication and Electrical Technology (ICCCET), 2011 International Conference on, 2011, pp. 411-416. 18. G. Michalke and A. D. Hansen, "Modelling and control of variable speed wind turbines for power system studies," Wind Energy, vol. 13, pp. 307-322, May 2010. 19. D. Margaris and N. D. Hatziargyriou, "Direct drive synchronous generator wind turbine models for power system studies," in Power Generation, Transmission, Distribution and Energy Conversion (MedPower 2010), 7th Mediterranean Conference and Exhibition on, 2010, pp. 1-7. 20. Kodsi S. K. M, Canizares C. “Modeling and Simulation of IEEE 14 Bus System with FACTS controllers”, Technical report 2003-3, University of Waterloo, On, Canada, 2003. Abstract: ECG technique is employed in medical science for measuring electrical activity of the heart. This technique often criticized for skin irritation due to the wet gel media applied on the body. The condition becomes more crucial for long-term monitoring. Wet electrodes need to be replaced with dry one and in that disposable form. Textile electrode is a potential choice for the purpose. Many reports are also available where knitted and woven polyester, nylon; cotton and acrylic fabrics were used as conductive electrode. The desired conductivity was imparted by conductive material surface treatment for woven or using conductive steel filaments in knitted. But due to higher stiffness they sound uncomfortable on use. The present research therefore designed to develop highly conductive textile material with better comfort properties. Polypropylene nonwoven fabric, a most versatile, economical and highly preferred base material in medical textile is used for the purpose. It is loaded with different concentrations of copper Nano particles. The prepared polypropylene nonwoven fabric was then characterized using polarized microscope and FTIR technique. The electrical conductivity of copper loaded textile was measured by Precision Multimeter 8846A tester. Better conductivity is observed with increased deposition. Keywords: Electrocardiogram, FTIR, Conductivity, polypropylene, Nano particles. 1. N. Muthu Kumar & G. Thilagavathi, Journal of the Textile Association, vol-74, July-Aug 2013, pg 81-86. 3. Chattopadhyay, D.P. and Patel, B.H., Improvement in physical and dyeing properties of natural fibres through pre-treatment with silver nanoparticles, Indian Journal of Fib & Tex Res, Vol 34, 2009, pp 368-373. 4. Chattopadhyay, D.P. and Patel, B.H., Effect of nanosized colloidal copper on cotton fabric, Journal of Engi Fib Fab, Vol 5, No 3, 2010, pp 1-6. 5. Chattopadhyay, D.P. and Patel, B.H., Modification of cotton textiles with nanostructural zinc particles, Journal of Natural Fibres, Vol 8, No 1, 2011, pp 39-47. 6. Patel, B.H and Patel, P. N, Synthesis and application of nano-sized SiO2 to textiles: A review, International Dyer, Vol 5, 2012, pp 35-39. 7. Chaudhari S.B., Mandot A.A. and Patel B.H., Functionalized nano-finishing to textiles using Ag nano-colloids, Melliand International, 15(5-6) (2009), 214-216. 8. Mandot A.A., Chaudhari S.B. and Patel B.H., Nanocomposite: Manufacturing and applications in textiles, Melliand International, 18(3) (2012), 188-189. 9. Chattopadhyay D.P. and Patel B.H., Preparation, characterization and stabilization of nano sized copper particles, Interantional Journal of Pure & App. Sci. & Tech., 9(1) (2012), 1-8. 10. Chaudhari S.B., Mandot A.A. and Patel B.H., Effect of nano TiO2 pretreatment on functional properties of cotton fabric, International Journal of Eng. Res. and Devt., 1(9) (2012), 24-29. 11. Patel B.H. and Chattopadhyay D.P., Nano-particles & their uses in textiles, The Indian Textile Journal, 118(3) (2007), 23-31. 12. Bhattacharya S.S. and Chaudhari S.B., Change in physico-mechanical and thermal properties of polyamide/silica nanocomposite film, International Journal of Eng. Res. and Devt., 7(2013), 1-5. 13. Raut S.B., Vasavada D.A. and Chaudhari S.B., Nano particles-Application in textile finishing, Man-made textiles in India, 53(12), 2010, 7-12. 14. Chaudhari S.B., Shaikh T.N. and Pandey P., A Review on Polymer Tio2 Nanocomposites, International Journal of Engineering Research and Application, 3 (5), 2013, 1386-1391. 15. Patel B.H., Chaudhari S.B., Patel P.N., Nano silica loaded cotton fabric; Characterization and Mechanical testing, Research Journal of Engineering Sciences, 3 (4), 2014, 19-24. 16. Chaudhari S B, Patel B H and Mandot A A, Effect of nano TiO2 pretreatment on functional properties of cotton fabric, International Journal. of Eng. Res. and Devt., 1(9), 2012, 24-29. 17. SS Bhattacharya, SB Chaudhari, Study on Structural, Mechanical and Functional Properties of Polyester Silica Nanocomposite Fabric, International Journal of Pure and Applied Sciences and Technology, 21 (1), 2014, 43-52. 18. P.J.Xu, H.Zhang and X.M.Tao, Institute of Textiles and Clothing, The Hong Kong Polytechnic University, Hung Hom, Kowloon, Hong Kong(2008). 19. Naylor G R. S and Phillips D. G., 9th International Wool Textile Research Conference, 203-209,(1995). 20. Alessio Becheri, Maximilian Du¨rr, Pierandrea Lo Nostro, Piero Baglioni, Jouranl of Nanopart Research, (2008) 10:679-689. 21. AATCC Technical Manual Volume 83, 2008. 22. Barbara Stuart, Infrared spectroscopy: Fundamentals and application, Wiley publication, 46, Page 116. 23. International Journal of Innovative Research in Science, Engineering and Technology, Vol. 3, Issue 4, April 2014. 24. Karilainen A, Hansen S, Muller J, 8th Annual Workshop on Semiconductor Advances, 156(2005). 25. Scilingo, EP, Gemidgani, A. Paradiso, R. Taccini, N. Ghelarducci, B, and De rossi, IEEE Transactions on Information Technology in Bio Medicine 9(3), 345-352, (2005). 26. V.B. Gupta, A.K. Mukherjee and S.S. Cameotra, Manufactured Fibre Technology, Champman & Hall, London, (1997), ISBN: 0412540304. Abstract: Recognition of Odia handwritten and machine characters and numerals is an emerging area of research and finds extensive applications in banks, offices and industries. Very little standard research work has been reported on recognition of handwritten and machine characters and numerals. This paper makes an in depth study on the existing literature on recognition of machine and handwritten Odia characters and numerals. The key steps  such as preprocessing, segmentation, feature extraction and classification involved in the recognition process of Odia characters are dealt in details. The well known techniques employed for segmentation, feature extraction and classification tasks of Odia characters are reviewed and their relative strengths and weaknesses are outlined. The paper also discusses the current trends and future research scope in the area of Odia character recognition. It is expected that this paper will be useful to those who will be interested to work in the fields of recognition of Odia characters. 1. Soumya Mishra, Debashish Nanda , Sanghamitra Mohanty , Oriya Character Recognition using Neural Networks , Special Issue of IJCCT Vol. 2,3,4, 2010 for International Conference (ICCT-2010), pp. 88-92. 2. B. B. Chaudhuri, U. Pal and M. Mitra, Automatic recognition of printed Oriya script, Sadhana (27) (Part 1) (February 2002), 23–34. 3. Debananda Padhi, Novel Hybrid approach for Odia Handwritten Character Recognition System ,International Journal of Advanced Research in Computer Science and Software Engineering , 2 (5) (May 2012) 150-157. 5. Pradeepta K. Sarangi, Ashok K. Sahoo, P. Ahmed, Recognition of Isolated Handwritten Oriya Numerals using Hopfield Neural Network, International Journal of Computer Applications , 40(8) (February 2012) 37-42. 6. Pradeepta K. Sarangi, P. Ahmed, Recognition of Handwritten Odia Numerals Using Artificial Intelligence Techniques, The International Journal of Computer Science & Applications (TIJCSA), 2(2) (April 2013) 41-48. 7. N.Tripathy and U. Pal, Handwriting segmentation of unconstrained Oriya text, Sadhana, 31(6)( December 2006), 755–769. 8. Debasish Basa and Sukadev Meher, Handwritten Odia Character Recognition, National conference on Recent Advances in Microwave tubes , Devices and Communication, System ,JNIT , Jaipur, March4-5 2011. 9. K. Roy and U. Pal, Word-wise Hand-written Script Separation for Indian Postal automation, In : Proceedings of 10th International Workshop on Frontiers in Handwriting Recognition , (2006) 521-526. 10. Mamata Nayak, Ajit Kumar Nayak, Odia Characters Recognition by Training Tesseract OCR Engine, International Conference in Distributed Computing & Internet Technology (ICDCIT-2014), International Journal of Computer Applications (2014) 25-30. 11. Bhagirath Kumar, Niraj Kumar, Charulata Palai, Pradeep Kumar Jena, Subhagata Chattopadhya, Optical Character Recognition using Ant Miner Algorithm: A Case Study on Oriya Character Recognition, International Journal of Computer Applications , 61(3) (2013)17-22. 12. Debananda Padhi, Debabrata Senapati, Sasmita Rout, Morphological Approach for Extracting Single Character from Odia Handwritten Text: A survey, International Journal of Emerging Trends in Engineering and Development (IJETED) , 2(2)(2012) 138-146. 13. Pradeepta K. Sarangi, P. Ahmed and Kiran K. Ravulakollu, Naïve Bayes Classifier with LU Factorization for Recognition of Handwritten Odia Numerals, Indian Journal of Science and Technology, 7(1) (January 2014)35-38. 14. Rasmi Ranjan Das, Swati Sucharita Das, Shom Prasad Das, Support Vector Machines for Odiya Handwritten Numeral Recognition, International Journal of Advanced Research in Computer Science, 4( 9) (2013),139-143. 18. Peeta Basa Pati , A.G.Ramakrishnan, U.K.Aravinda Rao, Machine Recognition of Printed Oriya Characters,In: Proceedings of III International Conference on Information Technology ICIT 2000, Bhubaneshwar, Decemeber 21-23, 2000, pp. 227-232. 19. T.K.Mishra, B.Majhi, S.Panda, A comparative analysis of image transformations for handwritten Odia numeral recognition, In : proceedings of IEEE International Conference on Advances in Computing, Communications and Informatics (ICACCI), Mysore,22-25 Aug, 2013, pp. 790-793. 20. D. Senapati, S. Rout and M. Nayak, A Novel Approach to Text Line and word Segmentation on Odia Printed Documents , In : Proceedings of IEEE Third International Conference on Computing Communication and Networking Technologies 2012, 6th - 28th July 2012, pp.1- 6. 21. Sukhpreet Singh, Optical Character Recognition Techniques: A Survey, Journal of Emerging Trends in Computing and Information Sciences, 4(6 )(June 2013)545-550. 22. S.D.Meher and D. Basa, An Intelligent Scanner with Handwritten Odia Character Recognition Capability ,In: proceedings of IEEE Fifth International Sensing Technology(ICST), Palmerston North ,Nov 28 2011-Dec.1 2011, pp 53-59. 23. U.Pal, T. Wakabayashi, F.Kimura , A System for Off-Line Oriya Handwritten Character Recognition Using Curvature Feature, In: Proceedings of 10th International Conference on Information Technology(ICIT) 10th ,Orissa, 17-20 Dec.2007, pp: 227-229. 25. T. K. Bhowmik, S. K. Parui, U. Bhattacharya and B. Shaw, An HMM based Recognition Scheme for Handwritten Oriya Numerals,In: Proceedings of the 9th International Conference on Information Technology(ICIT ), Bhubaneswar,India, S. P. Mohanty & A. Sahoo (Eds), IEEE Computer Society Press, December 18-21, 2006, pp. 105-110. 26. K.Roy, T.Pal, U.Pal, F.Kimura, Oriya handwritten numeral recognition system,In: Proceedings of IEEE Eigth International Confernece on Document Analysis and Recognition ,29 Aug-1 Sept,2005, pp.770-774. 27. S. Mohanty, Pattern Recognition in Alphabets of Oriya Language using Kohonen Neural Network, International Journal on Pattern Recognition and Artificial Intelligence , 12(07),(November 1998) 1007-1015. 28. N. Tripathy, M. Panda, U. Pal, System for Oriya handwritten numeral recognition, In: Proceedings of Document Recognition and Retrieval XI, San Jose, California; December 15, 2003; pp. 174-181. 29. Mansi Shah and Gordhan B Jethava , A Literature Review on Hand Written Character Recognition ,Indian Streams Research Journal ,3(2)(2013) 1-19. 30. Youssef Bassil and Mohammad Alwani, OCR Post-Processing Error Correction Algorithm U sing Google's Online Spelling Suggestion, Journal of Emerging Trends in Computing and Information Sciences, 3( January 2012),90-99 . 31. Debanandan Padhi and Debabrata Senapati, Zone Centroid Distance and standard Deviation Based Feature Matrix for Odia Handwritten Character Recognition, In: Proceedings of the International Conference on Frontiers of Intelligent Computing: Theory and Applications (FICTA), Advances in Intelligent Systems and Computing ,Springer 199(2013) 649-658. 32. Swati Nigam and Ashish Khare, Multifont Oriya Character Recognition using Curvelet Transform, Information systems for Indian languages, Communication in computer and information science, 139(2011)150-156. 33. Chandana Mitra, Arun K. Pujari, Directional Decomposition for Odia Character Recognition, Mining Intelligence and Knowledge Exploration , Lecture Notes in Computer Science, Springer, 8284 (2013) 270-278. 34. C. Bihari, Babita Majhi and G. Panda, A critical review on offline handwritten Odia character recognition techniques, In: Proceedings of International Conference on Emerging Trends in soft Computing and ICT, GG Central University, Bilaspur, 16-17, March 2011, pp.86-89. 35. Z. Shi and V. Govindaraju, Skew Detection for Complex Document Images/using Fuzzy Runlength, In: Proceeding of 7th ICDAR, 2003, pp. 715-719. 36. Mamta Maloo, K.V. Kale, Gujarati Script Recognition: A Review, International Journal of Computer Science (IJCSI) ,8(4)(No 1)(July 2011) 480-489. 37. K. Mahata, Optical Character Recognition for Printed Tamil Script, Master’s Thesis, Department of Electrical Communication and Engineering, Indian Institute of Science Bangalore, 2000. 38. Gaurav Kumar, Pradeep Kumar Bhatia and Indu, Analytical Review of Preprocessing Techniques for Offline Handwritten Character Recognition, International Journal of Advances in Engineering Sciences ,3 (3)(July, 2013)14-22. 39. Nafiz Arica and Fatos T. Yarman-Vural, An Overview of Character Recognition Focused on Off-Line Handwriting, IEEE Transactions on Systems, man and Cybernetics-Part C: Applicaions and Reviews, 31( NO. 2) (2001) 216-233. 40. K. Mahata and M.Rama Krishnan, Precision Skew Detection through Principal Axis, In proceedings of International Conference on Multimedia on Processing and Processing, IIT Chennai, Aug 13-15, 2000,pp.186-188. 41. Iping Supriana*, Albadr Nasution, Arabic Character Recognition System Development, The 4th International Conference on Electrical Engineering and Informatics (ICEEI 2013, Procedia Technology 11 ( 2 0 1 3 ) 334 – 34. 42. Amit Choudhary, Rahul Rish, Savita Ahlawat, “Off-Line Handwritten Character Recognition using Features Extracted from Binarization Technique “,2013 AASRI Conference on Intelligent Systems and Contr, AASRI Procedia 4 ( 2013 ) 306– 312. 43. Hacene Belhadef, Mohamed Khireddine Kholladi, Aicha Eutamene, Ontology of graphemes for Latin character recognition, 2011 International Conference on Advances in Engineerin, a Engineering 24 (2011),579-584. Abstract: This paper deals with the use of spent cooking as a fuel in kerosene stove In order to avoid the reuse of spent cooking oil for cooking which has adverse effects on the health of human being, corrective steps are needed to be taken. With an approach of alternative fuel for kerosene pressurized cooking stove, blends of kerosene and spent soya bean cooking oil of various proportions have been prepared. These samples were tested one by one in an existing kerosene pressurized cooking stove at various pressures. From the study, it has been found that at 1.5 bar pressure, efficiency of 50% proportion of spent soya bean oil with 50% proportion of kerosene is better than pure kerosene. Keywords: kerosene stove, spent soya bean oil, magnetization, efficiency, calorific value. 1. Paritosh Rustogi , Shivang Batra, “Kerosene Bubbler Stove”, Proceedings of 4th SARC International Conference, 30thMarch 2014, Nagpur, India, ISBN.978-93-82702-70-2. 2. Nelson Sakosono, “Magnetizing Kerosene For Increasing Combustion Efficiency”, JURNAL TEKNOLOGI, Edisi No. 2, Juni 2005, 155-162 ISSN 0215-1685. 3. M.S.Murthy, S.A.Agiwala, M.A.Bharambe, A.Mishra and A.Raina, “Modified Kerosene Stove for Burning High Percentage Non Edible Straight Vegetable Oil Blends”, S.S.B.T College of Engineering and Technology, Jalgaon Published in Clean Energy and Technology (CET), 2011 IEEE First Conference on Date of:27-29 June 2011. 4. Anil K Rajvanshi , S M .Patil and B.Mendoca, “Development Of Stove Running On Low Ethanol Concentration”, Nimbkar Agricultural Research Institute(NARI ) , Nov 2004, Phaltan. 5. Article: Tropentag of Kassel-Witzenhausen And University Of Gottingen October 9-11, 2007, “Development Of A Plant Oil Pressure Stove”. 8. Y. Nagaraju, Dr. Lasya Gopal, “Development and Performance Assessment of a Pressurized Cook Stove Using a Blend of Pongamia Oil and Kerosene”, The Energy and Resources Institute (TERI), Southern Regional Centre, 4thMain, 2nd Cross, Domlur 2nd stage, Bangalore – 560 071. 9. Mohd. Yunus Khan, Faraz Ahmad Khan, Mirza Shariq Beg, “Ethanol-Kerosene Blends: Fuel Option for Kerosene Wick Stove”, International Journal of Engineering Research and Applications (IJERA) ISSN: 2248-9622 www.ijera.com Vol. 3, Issue 1, January -February 2013, pp.464-466. 10. Patent US4605498- “Apparatus Of Magnetic Treatment Of Liquids”, -Google Patents. 11. K. Arumugama, S. Veerarajab and P.Esakkimuthu, “Combustion of Waste/ Used Oil by Using Specialized Burner”, International Journal of Applied Engineering Research. ISSN 0973-4562, Volume 8, Number 15 (2013) pp. 1839-1846 © Research India Publications http://www.ripublication.com/ijaer.htm.